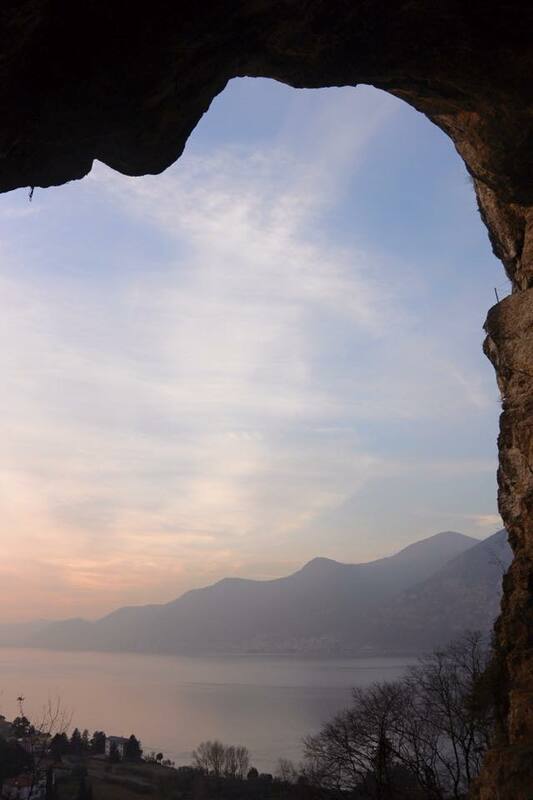 Dutch climber Marianne van der Steen “accidentally” flashes one of Italy's most difficult dry-tooling routes, Kamasutra (D13+), at Bus del Quai, Iseo - likely the hardest dry-tooling flash ever made. 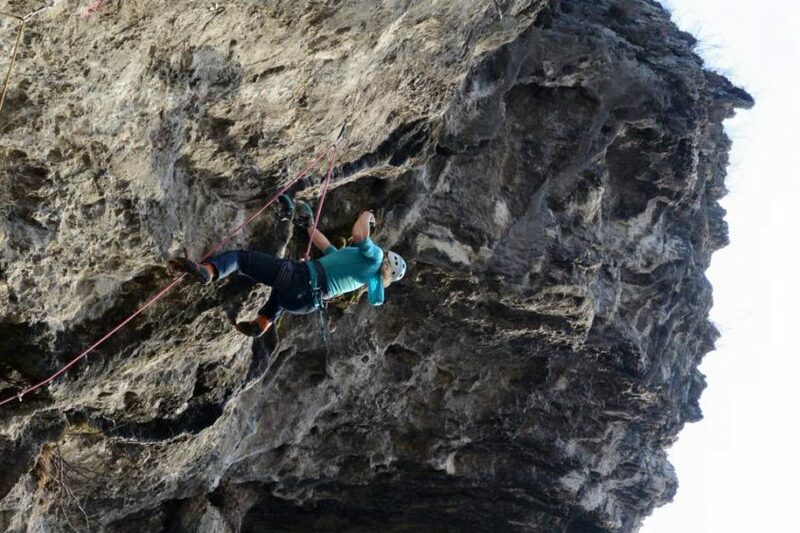 Dutch climber Marianne van der Steen “accidentally” flashed one of Italy’s most difficult dry-tooling routes, Kamasutra (D13+), at Bus del Quai, Iseo last week—likely the hardest dry-tooling flash ever made. And then she sent it again the next day. 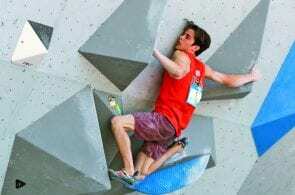 She was at the famous Italian dry-tooling crag between World Cup ice climbing competitions “to relax, climb and enjoy the Italian sun…lazy, like sport climbers,” she posted on Facebook. After warming up and attempting an M12, suffering from a nasty cold, she says she didn’t feel great and went to cheer on Gordon McArthur as he attempted Kamasutra. McArthur fell near the top of the route and his ice tool, stuck in a crack, was left dangling. 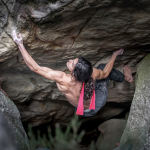 Kamasutra, bolted by Matteo Rivadossi, is a 30-meter pure dry-tooling route, which gives it a ‘D’ grade instead of a mixed-climbing ‘M’ grade (requires both rock and ice). The route is semi-natural, with a handful of drilled pockets. 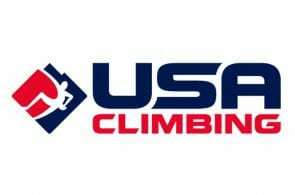 Angelika Rainer, three-time ice climbing World Champion, claimed the route’s first ascent in January 2014 (check out the video of her climb below). 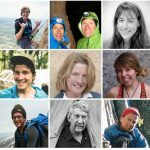 Van der Steen told Rock and Ice that she’s a slow climber and thinks that might be a reason why she “never [does] too well” in World Cups where time is an important factor. “But when I can keep my head clear I can always recover, no matter what route. And that was a great advantage on this huge, long climb,” she says. Nearing the top of the climb, she used her mental perseverance to push through: “Okay, keep calm now,” she told herself. 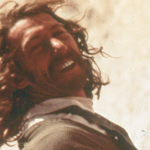 “Shaking, getting my normal breath back, I moved on, and on until the last long move. ‘Now you have to clip from here,’ Angi called up. I had the last hold. I clipped the anchor and was so surprised. When she got to the ground, she wasn’t pumped at all, she says, “therefore it didn’t feel like I’d done something super difficult. It was only later that evening when I realized and heard probably no one had ever done a D13+ flash. “The only reason I went up there was because Gordon McArthur got his axe stuck. I thought it would be way too much for me to climb it. 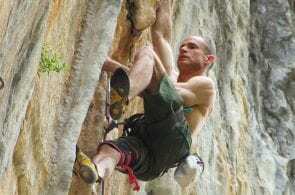 Van der Steen returned the next day and sent Kamasutra again, but this time in French Dry-tooling Style (DTS)—climbing without the use of Yaniros (French for figure-fours and figure-nines), extra long ice tools and third handle gripping. 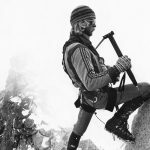 Van der Steen explains the origin of the style: “DTS is a French style of climbing invented by a group of climbers from Usine (close to Grenoble). If you use a figure-of-four in a route in Usine, your ascent doesn’t count. So all together it’s a local ethic. 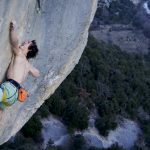 Jeff Merçier, who made the second ascent of Kamasutra in French DTS, said he believes it could be D14- without the use of Yaniros. Follow Marianne van der Steen and Dennis van Hoek on their verticallife.nl.